One of my favorite memories from my youth is what we kids called "The Mosquito Machine". I know many of you baby boomers will recall this weekly or sometimes daily event (depending on how bad the little blood suckers were biting). I'm sure everyone who has experienced this summer ritual had their own name for this fog blasting monster. 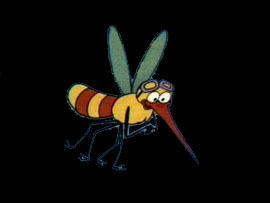 I've heard it referred to as "The Bug Man" or "The Mosquito Jeep"- but for me and my friends... it was "The Mosquito Machine". A beat up jeep with a large apparatus mounted on the back spewing a thick toxic fog throughout the neighborhood. You could hear it coming from blocks away as it would serpentine up and down every street ... usually just around supper time it seemed. As soon as I would hear the distinct wail of its motor in the distance I'd quickly finish my meal to get outside and join my friends in hot pursuit of this poison puffing pied piper. From the moment the jeep was within earshot, like clockwork, my Mother would jump up from the table and frantically start shutting windows in the kitchen and then moving onto the living room to continue the lockdown. It was then that I would make my escape - out through the side porch screen door and onto my biycycle for some real excitement... the chase was on. I look back on this now and think we were one whacky bunch of kids. My Mom and Dad hated this bizarre custom with a passion but there was no stopping us... we must follow this jeep. 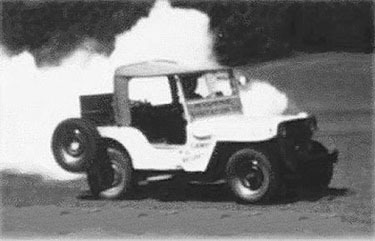 You don't understand ... it's a cool old jeep... and there's what looks like smoke pouring out of it... and it's super loud... and the old guy driving it looks agitated because there's a dozen kids tailing him on bicycles... it's great!!! The perfect summertime outdoor activity! Imagine what we must have looked like to the guy driving this thing - weaving in and out and back and fourth finally peddling away from the beast - probably because we were too dizzy to continue. It must be a built in mechanism in a kid to want to do such things. Who knows the damage it may have done to us if any at all... I mean it couldn't have been healthy but I'm still here... lucky to be here I might add. This wonderful event replayed over and over again, summer after summer between dinner and dusk all through my youth. I loved the days of the Mosquito Machine and happy to have survived it without any brain damage... well that's probably a statement that's up for debate.